If you have an iPad Mini 2 with Retina Display with a screen that is cracked, has a distorted image, no image, or otherwise broken, SimplyFixIt can help. If it has a battery issue, maybe it's not charging properly? Maybe the battery drains too quickly or the iPad Mini 2 with Retina Display shuts down when it reaches 30% battery? We can fix that too. We know that your iPad is important to you, so most repairs are carried out within an hour if possible. Find your nearest SimplyFixIt Repair Centre. Not all iPad components are created equally. When we first started iPad repairs, Apple would make genuine parts available for companies like ours to carry out repairs. But as they have moved more towards pushing people towards replacing damaged devices, rather than repairing them, they have restricted the availability of some genuine Apple parts. Due to our long history of iPad repairs we have been able to build relationships with the people who make the screens. So, we are able to fit high quality components in all of our repairs. (For battery repairs we will always try to fit an original Apple battery.) Put simply, we don't use cheap screens that we've bought from eBay and we didn't learn our craft from watching YouTube videos. SimplyFixIt uses Apple Certified Technicians to carry out repairs on Apple devices, including the iPad Mini 2 with Retina Display. There isn't anyone else in Edinburgh or Glasgow who uses technicians who have been certified by Apple. 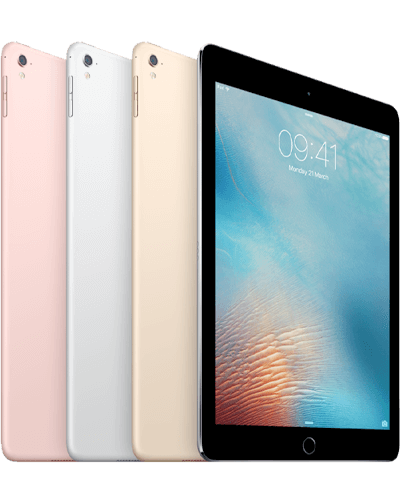 We back that up with a 3-month warranty on all iPad Mini 2 with Retina Display repairs. 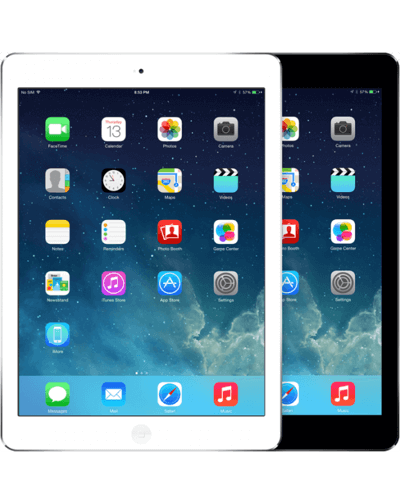 The data on your iPad Mini 2 with Retina Display is important. Our tablets and phones don't just have telephone numbers any more. They have our photos, our chat history and our Facebook posts. Be sure to back it up before you get it repaired. If you don't have a recent backup, speak to your SimplyFixIt Technician. Unlike Apple, we don't routinely wipe the iPad before giving it back to you. We will do our best to make sure nothing happens to your data, but it's better to be safe than sorry. Our technicians can show you how to make sure your iPad is routinely backed up every night so that you don't lose any data ever. It's built into your iPad & free so make sure to ask if you have any questions. There are a lot of websites offering to fix iPads in 30 minutes or while you wait. They're obviously doing that because nobody wants to be without their iPad for any length of time. But all too often we've seen customers bring iPads to us after they have been at other stores, and there might be still pieces of glass in the device. Or the technician cut corners with the assembly to put it back together again so quickly. We are different. We do know that you want your iPad back fast, but the quality of the repair is very important to us. So we don't rush repairs to hit an unrealistic 30-minute timescale. Our Apple Certified Technicians ensure that every piece of glass is removed and the iPad is as good as it can be, after a repair. Every day we see people who have tried to repair their own iPad screen. There are "tutorials" all over the internet explaining how easy it is. It is not easy and you can cause permanent irreparable damage to your iPad if you break one of the tiny connectors on the main board. Our technicians are Apple Certified and have repaired a lot of iPads. You wouldn't consider replacing the screen in your TV set, so please leave your iPad repair to the experts. Recently a BBC technology reporter tried to repair her own iPad for an episode of "Click", which is the BBC's gadget show. She spent £15 on parts from eBay, which clearly won't have been a very good quality screen, but that's pretty much all that's available to the public. She didn't have the tools so she went to a local computer repair centre and they let her borrow the tools and supervised what she was doing so that she didn't get any electric shocks or cut her finger with the glass. The repair took her 7 hours and she broke the GPS antenna, which thankfully is one of the least important cables. But it shows that even a professional technology journalist, working under supervision, with tools from a computer store struggled with the repair and even after 7 hours wasn't able to say that it was fully repaired. I say, leave it to the people who have been certified by Apple as trained technicians. iPad repair prices: SimplyFixIt vs Apple. Not sure what iPad you have? Read our guide to iPad models. How to get your iPad fixed. There is no need to make an appointment at a SimplyFixIt Repair Centre. There are currently 7 stores in Edinburgh & Glasgow. Most are open 7 days a week, with some offering early opening or late closing. We know nobody likes to be without their iPad, so we'll try to fix it within a very short period of time. (Normally 1-2 days). In more complex cases, we may need to keep it for further tests. If we do have to do that, we will still do our best to get your iPad Mini 2 with Retina Display back to you as soon as possible. If you can't make it to a SimplyFixit Repair Centre, we can still fix your iPad. You can post it to us, and in most cases we will have it back with you within 48 hours*, with a brand new screen. We fix hundreds of iPads each month for customers all over the U.K, even as far south as Cornwall. Our Apple certified technicians are always working really hard to ensure that our repairs meet the highest standards. Click to print out a repair authorisation form for your iPad Mini 2 with Retina Display.. Please complete it and put your iPad Mini 2 with Retina Display, and the form in the post to us. We really recommend using a service like Royal Mail Special Delivery, so that the delivery is tracked and you have compensation cover for up to £500. As soon as your iPad Mini 2 with Retina Display arrives at SimplyFixIt, we'll be in touch to let you know. We Fix MacBooks, iPads, iPhones and Windows laptops for people from all over the country, not just Edinburgh and Glasgow. Chances are that you live close to one of our customers already. This is a map of the people that we have helped, who live outside of Edinburgh & Glasgow, in the last 30 days. They have posted us their device. We have fixed it, and returned it by overnight insured courier. Send your device to us via Royal Mail Special Delivery, which should provide you with adequate insurance. We will fix it and return it to you without any fuss. We have applied a fuzziness to the location markers so they don't show the exact location of our customers. The markers fall in a slightly different location each time, but the general area is correct. 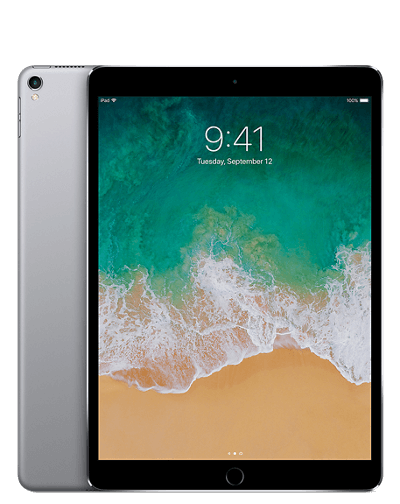 At SimplyFixIt, we believe doing things right is better than doing things fast, so there will be some cases we need just a bit longer to get your iPad Mini 2 with Retina Display ready. Don't worry though, as soon as it's complete, we'll be in touch to let you know so we can arrange express delivery back to your home or workplace. The iPad Mini 2 with Retina Display is an amazing product. Offering all-day battery life it is perfect for watching movies on, keeping children entertained, or even getting work done. But the screen is made of glass, and unfortunately, it can break. We have seen iPads Mini 2 with Retina Display drop on the floor, or items fall from a kitchen cupboard onto the iPad. Either way, we're here to help. We can repair or replace the screen on your iPad Mini 2 with Retina Display, using certified technicians and high quality components. That's why we can offer a 3-month warranty on all iPad Mini 2 with Retina Display screen repairs. Cracked iPad glass? Do you know that the Apple warranty will not cover physical damage to the glass on your iPad and will actually charge you over £200 to repair it? So, if the screen broken on your iPad, you need someone who can fix it. There are actually 2 screens on your iPad. The lower screen controls the images that appear, while the top screen is the glass front. This top screen also controls the "touch" capabilities. If your iPad doesn't recognise your finger swiping, then it could be that your top screen has become faulty or broken. The lower screen is called the LCD, while the top screen is called the digitiser. Cracked iPad glass? Did it fall and get cracks that look like a spider web? The graphics look fine, just the top glass is shattered? Maybe the screen is not responding to your touch? The top glass screen of the iPad is sometimes called the digitiser (or digitizer for our American friends). This screen controls the touch capability of the iPad and protects the lower screen, which shows the graphics. It's possible for the top digitiser screen to be smashed and the graphics to look fine underneath. We will remove the smashed screen and replace it with a new screen so it looks as good as new. The digitiser is a very important part of your iPad. If the digitiser cracks or breaks, the functionality of the iPad is affected and it is difficult to use the iPad. If you have a cracked iPad screen and you are in Edinburgh or Glasgow, then you can pop into any of our repair centres for a fast service. If you are outside of Edinburgh or Glasgow, then we can also help. 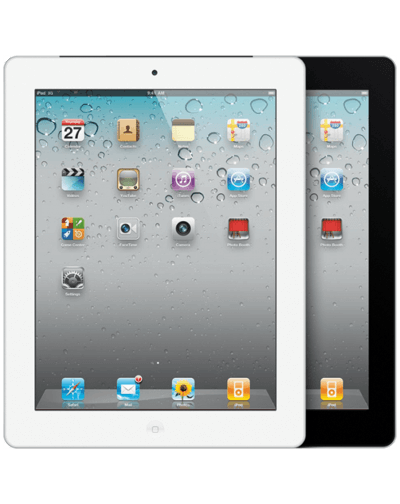 Click on Nationwide iPad Repairs to get details on how to send us your iPad for a fast repair. *Please note that if the back case of your iPad is bent, even slightly, there may be a chance that the new screen may not fit flush in the iPad. In some cases, the aluminium back case can be re-formed to fit the glass. We normally do that at no extra charge, but it will never be completely smooth as the original pre-smash condition. In very rare cases the back case may need to be replaced as well. Our technicians will notify you if this is the case, because it will add some cost to the repair. The LCD screen on the iPad is the lower screen. It displays the graphics. It's generally a very reliable part, but can break from a fall, or from liquid getting into your iPad. If you see coloured lines, grey lines, white spots, dead pixels on the screen or ff the display is completely white, flickering or bleeding, no back-light it has to be replaced. The lower LCD screen on your iPad is normally protected from knocks by the top glass screen, but even still it can break. Sometimes it starts with graphics corruption, which gradually gets worse. Sometimes it is a totally white screen. LCD "bleeding" or "black ink stain"
Accidental damage isn't covered by the Apple's Warranty, so unfortunately, there will always be a cost, even if your iPad is brand new. 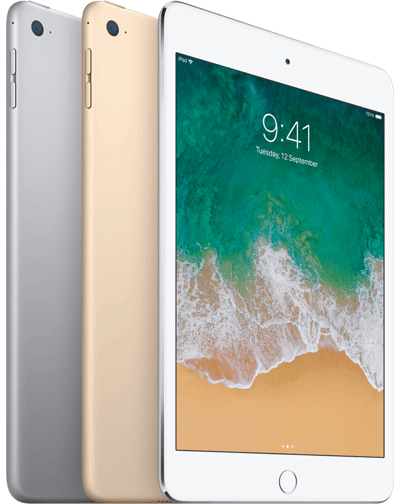 For an iPad Mini 2 with Retina Display, the price for a screen repair or replacement is normally £99 including VAT unless you have our MobileShield™ warranty. In that case the repair will be free. Does your iPad Mini 2 with Retina Display battery drain too quickly? Does it sometimes not charge when you plug in your lightning cable? Try restarting it first. That can help if the problems are being caused by an app that is running in the background. 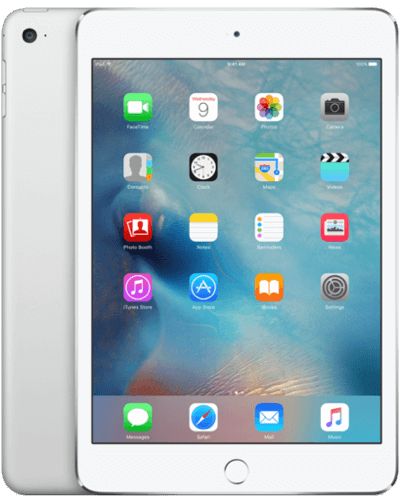 Are you having trouble getting your iPad Mini 2 with Retina Display to power on? First, make sure you've given your iPad's battery enough time to charge. If your iPad has been without charge for while, it will take more time than normal before it registers that there is any charge in the battery. Try to use a different cable and power socket if you can. If you normally charge your iPad by plugging it into your laptop or MacBook, try plugging it directly into a USB charger that is connected to the mains electricity. Make sure that you are using a good quality USB charger for iPads, which can output at least 2 amps of electricity. Cheaper USB chargers, or those that are designed to work with an iPhone, are only designed to give 1 amp, and sometimes even lower. This won't charge an iPad. The good news is that if you use a 2-amp iPad charger with an iPhone it will charge faster, so that's the one you should aim for.